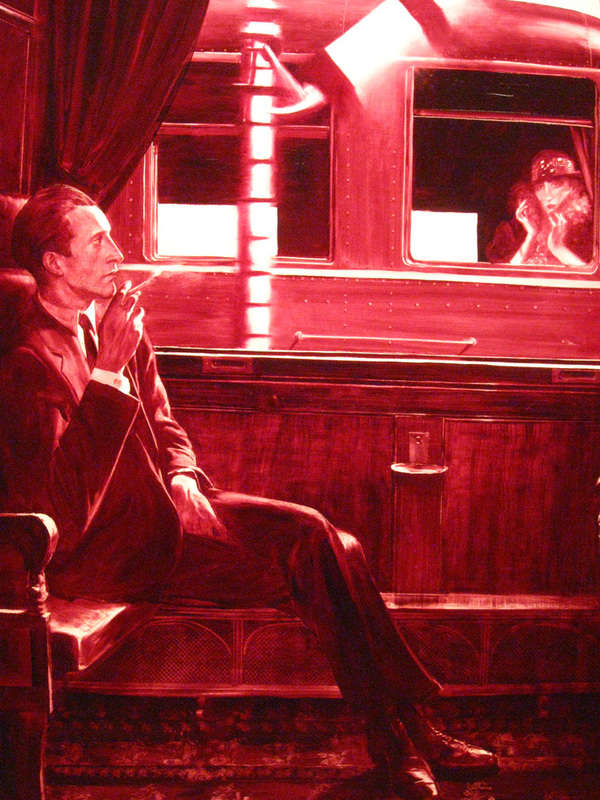 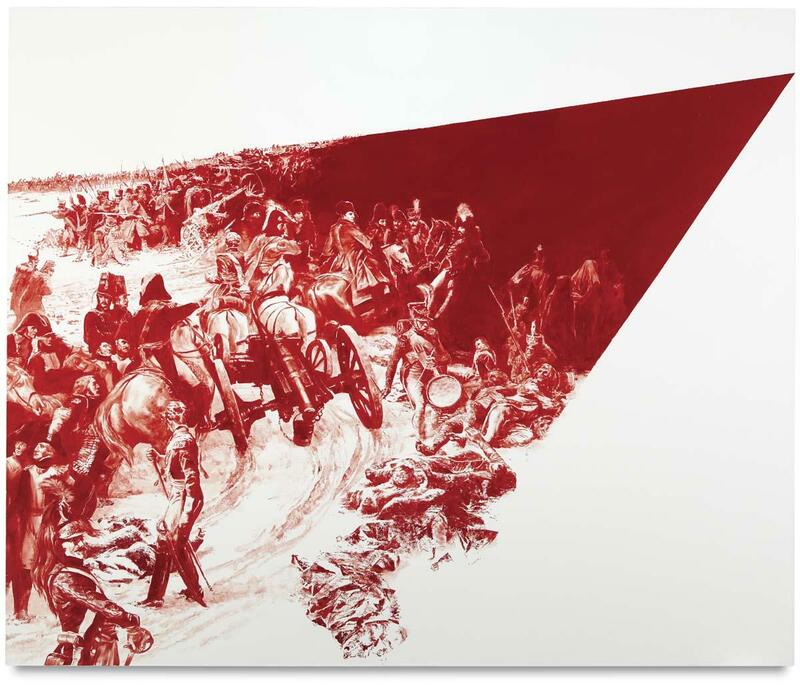 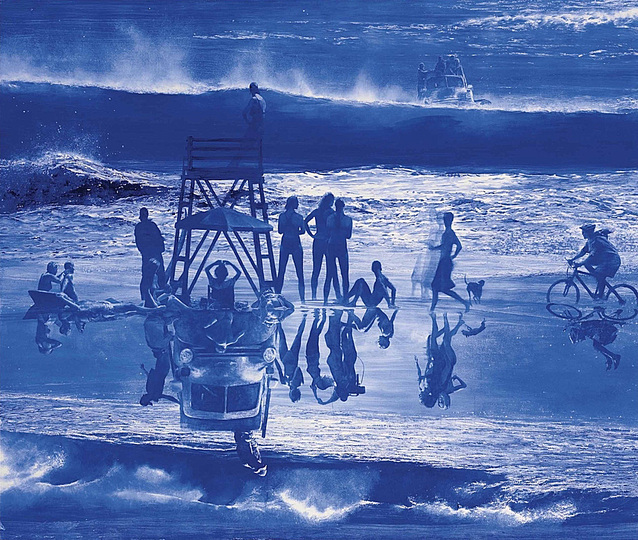 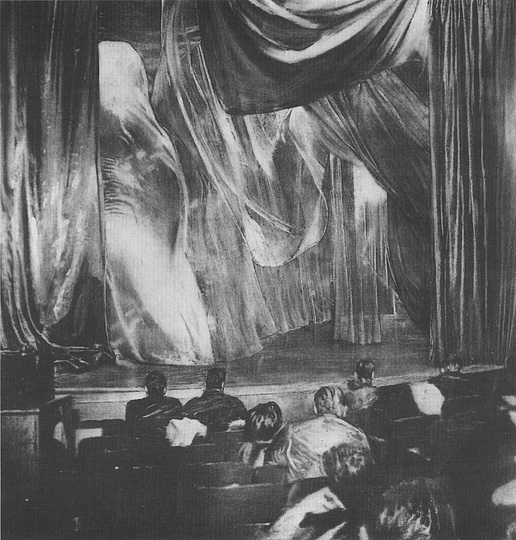 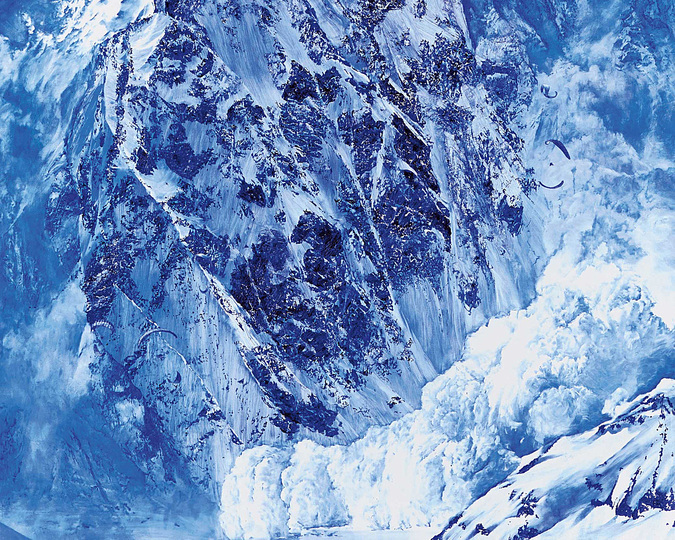 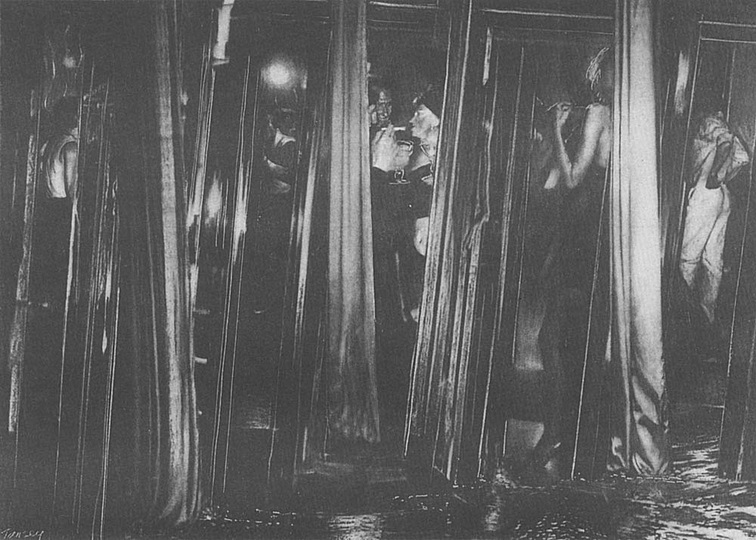 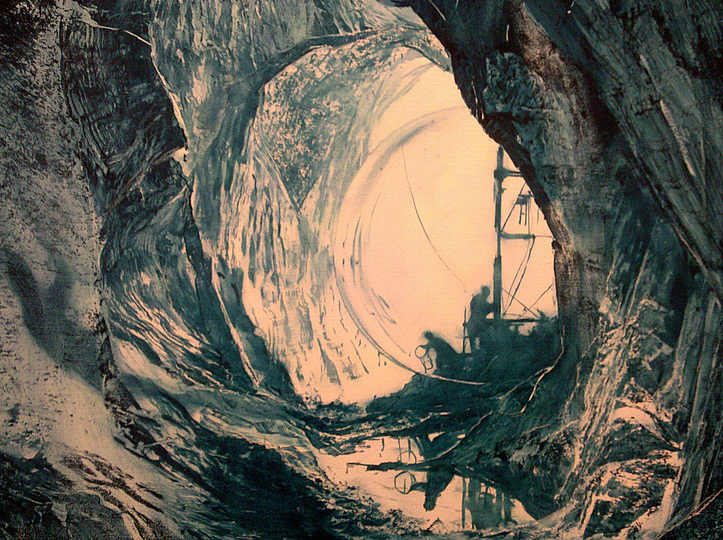 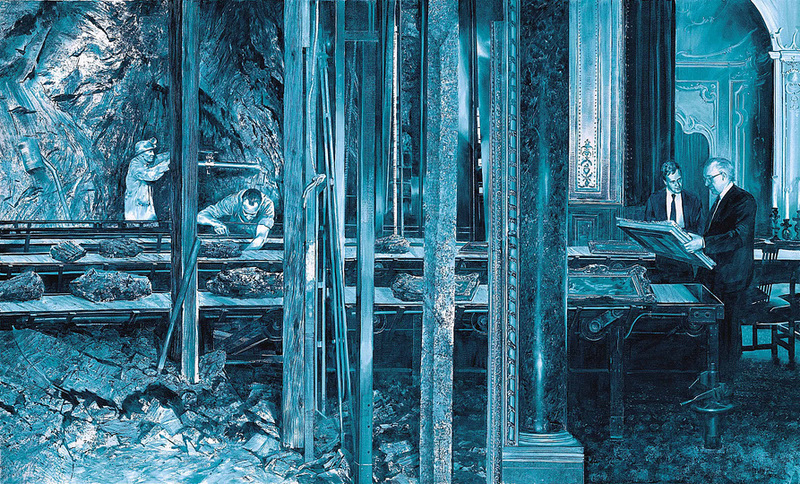 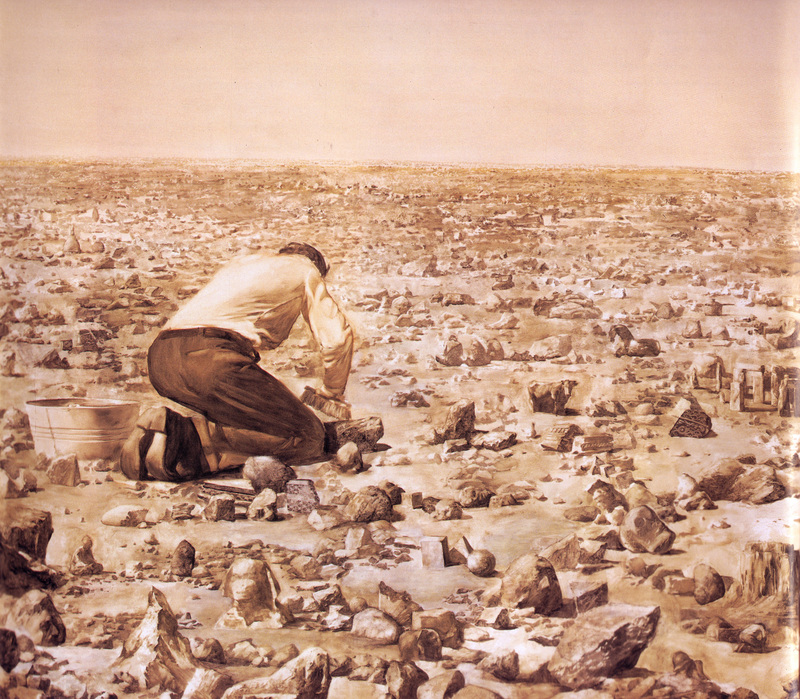 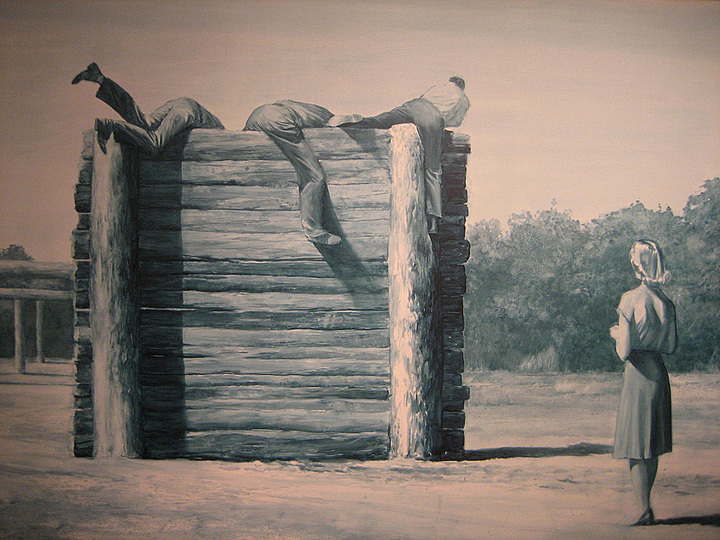 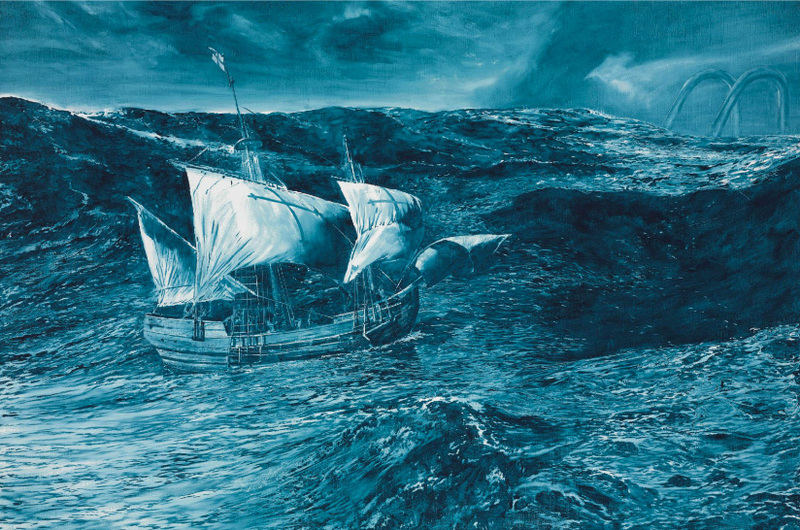 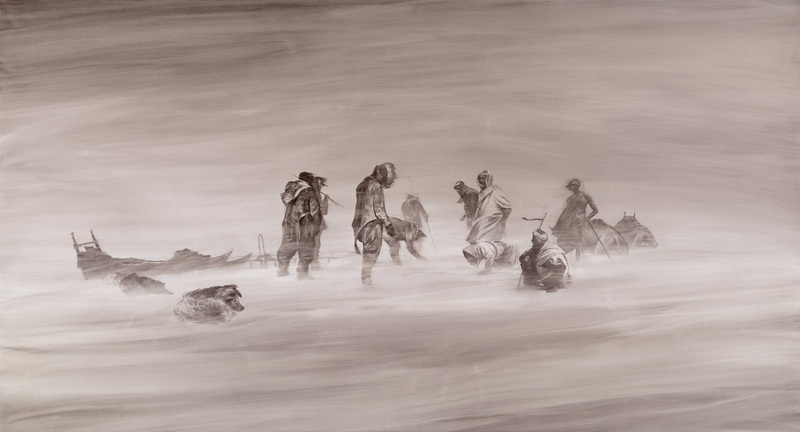 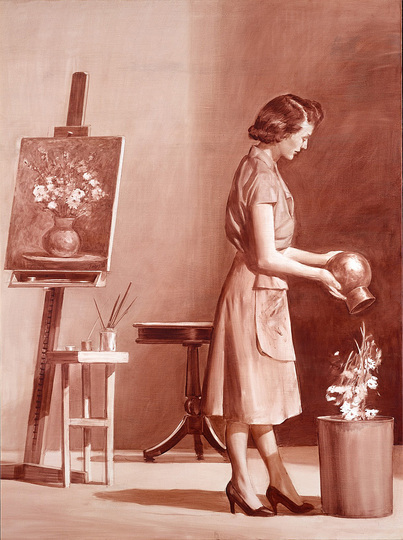 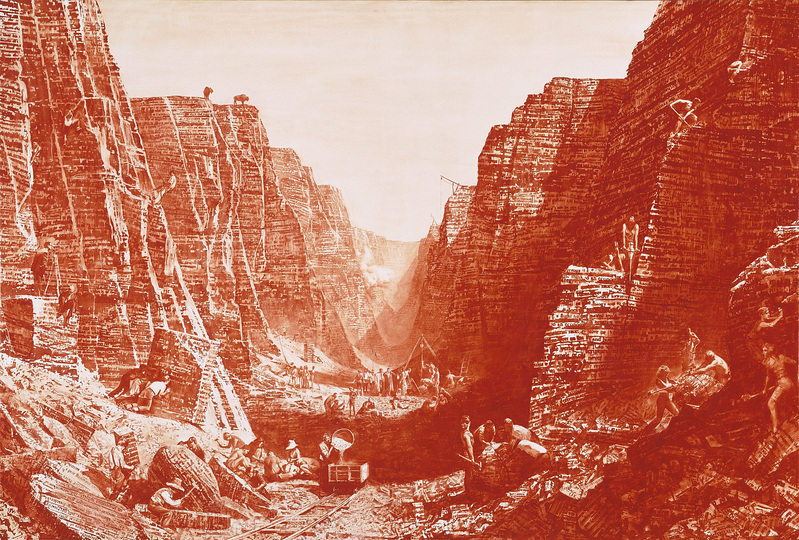 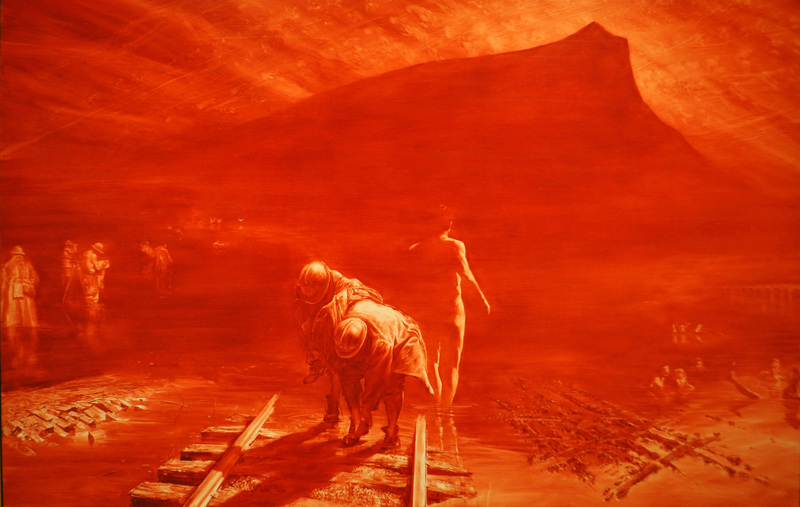 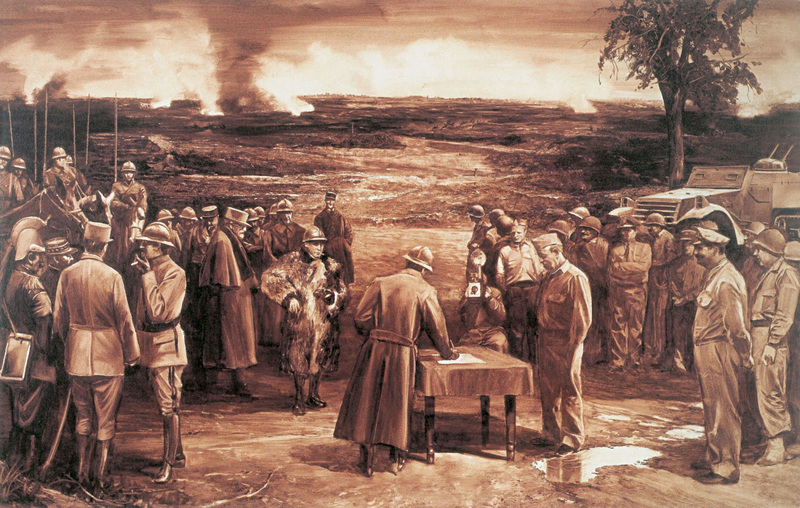 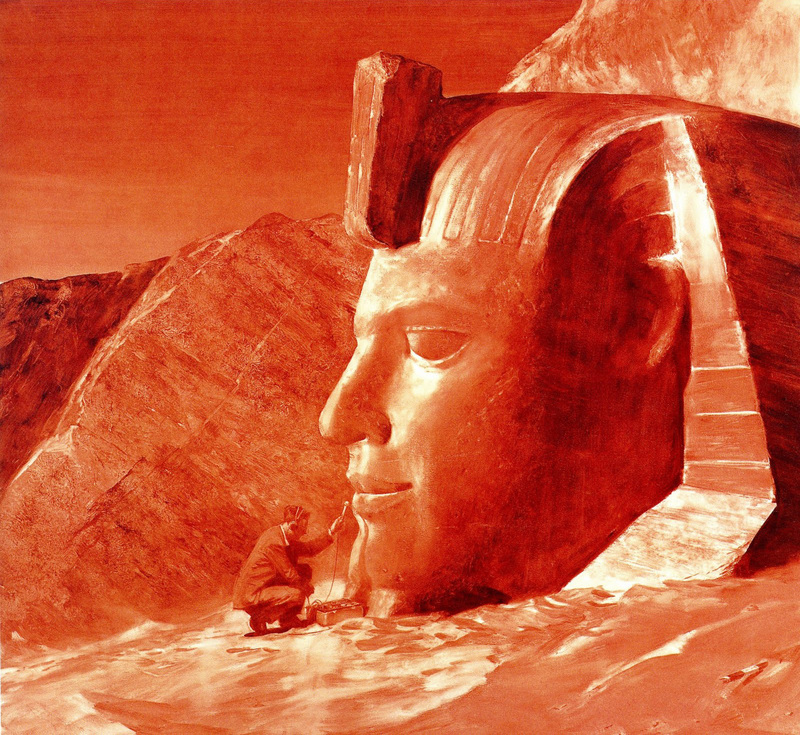 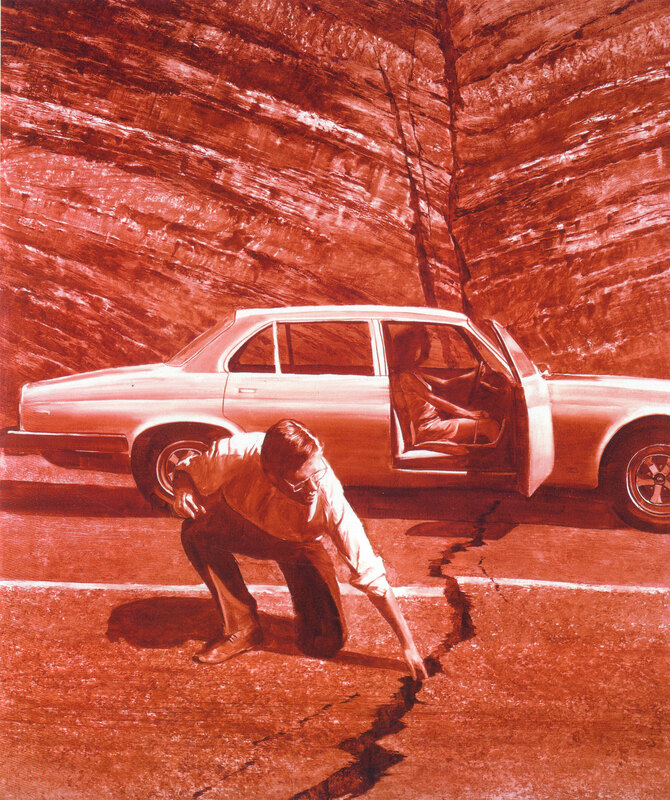 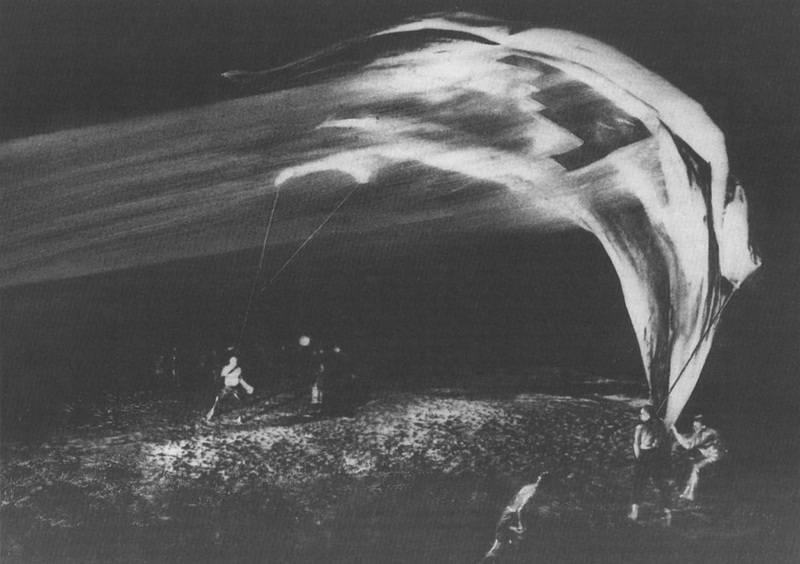 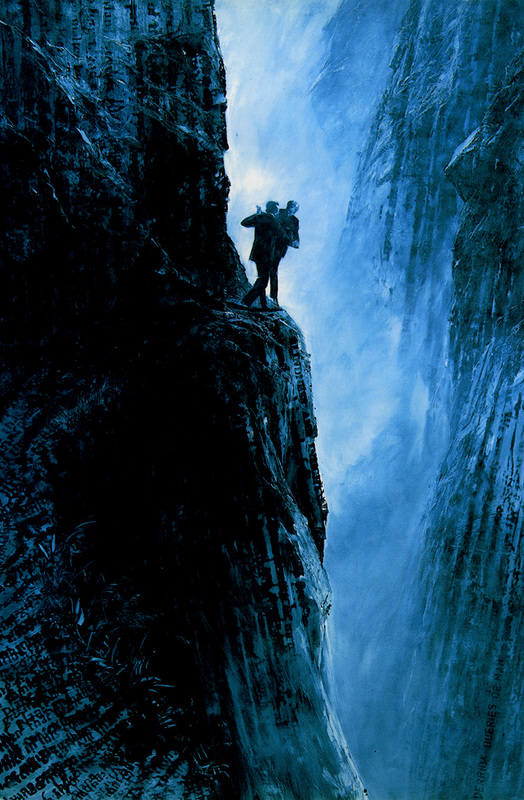 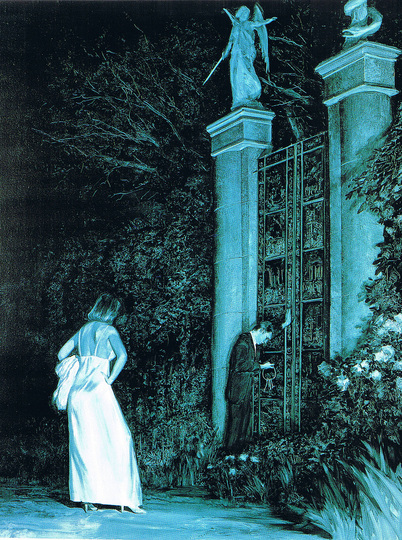 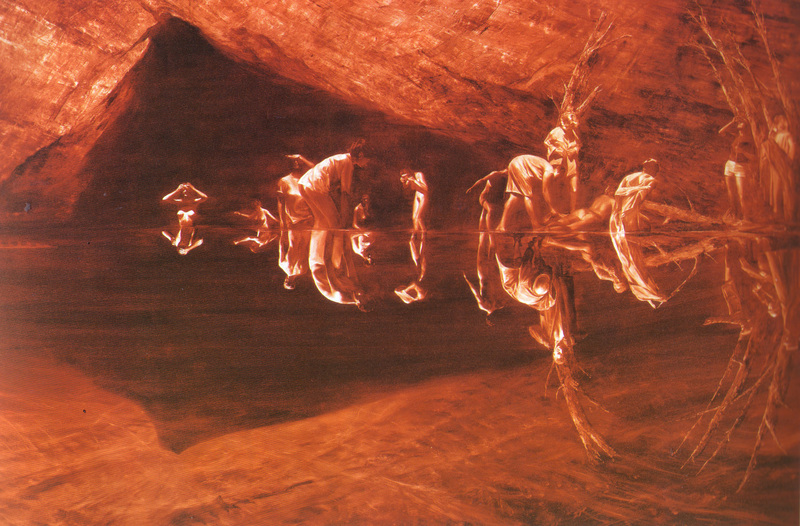 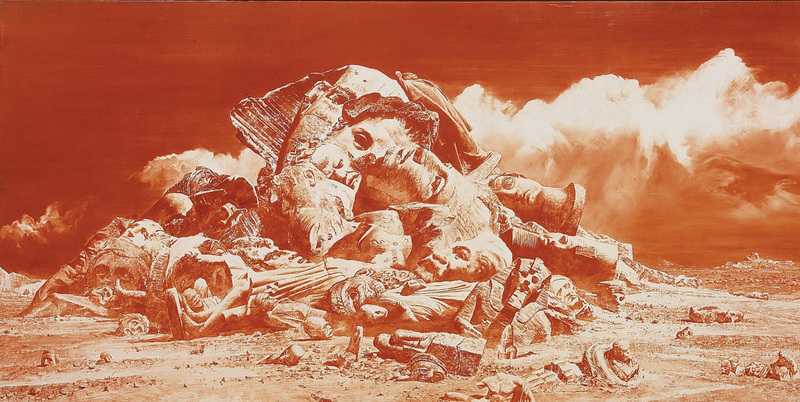 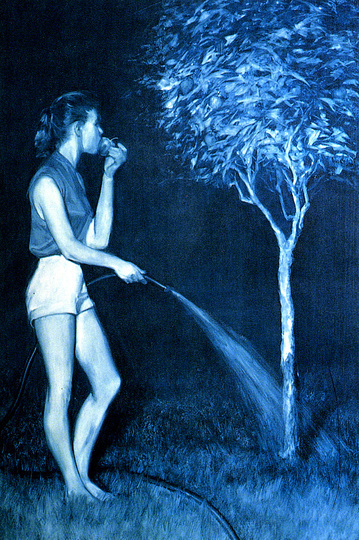 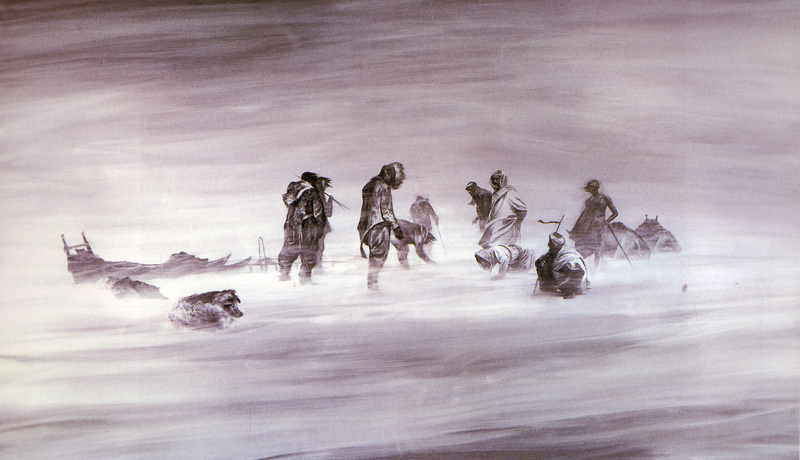 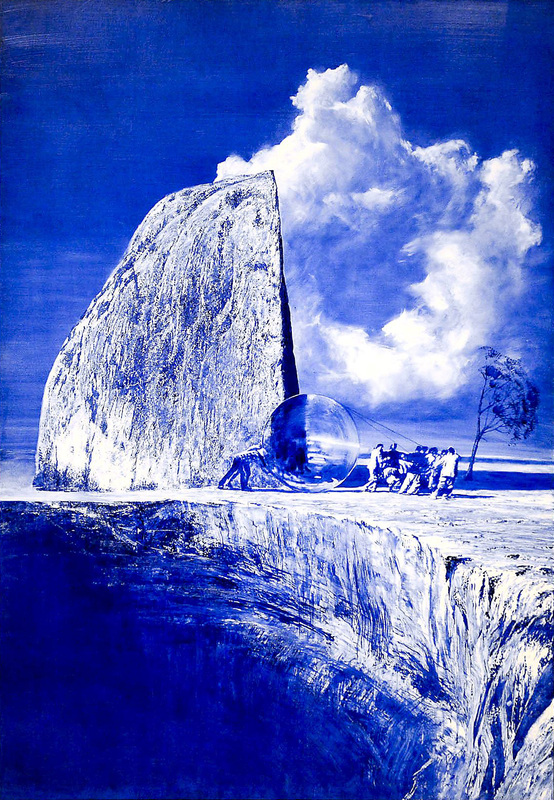 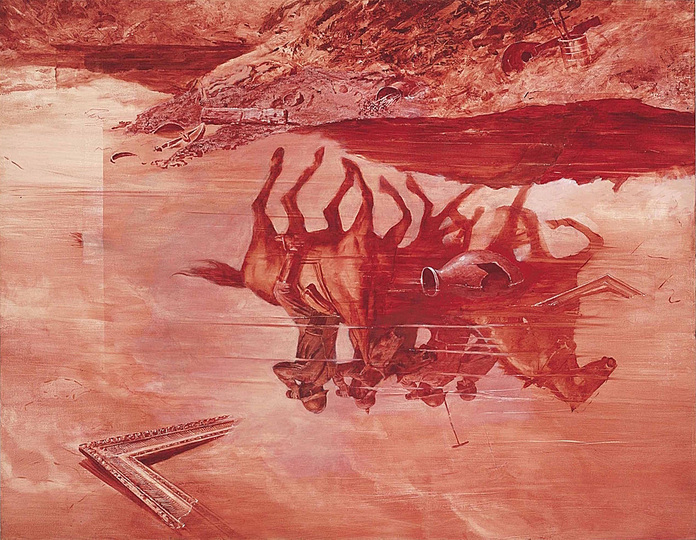 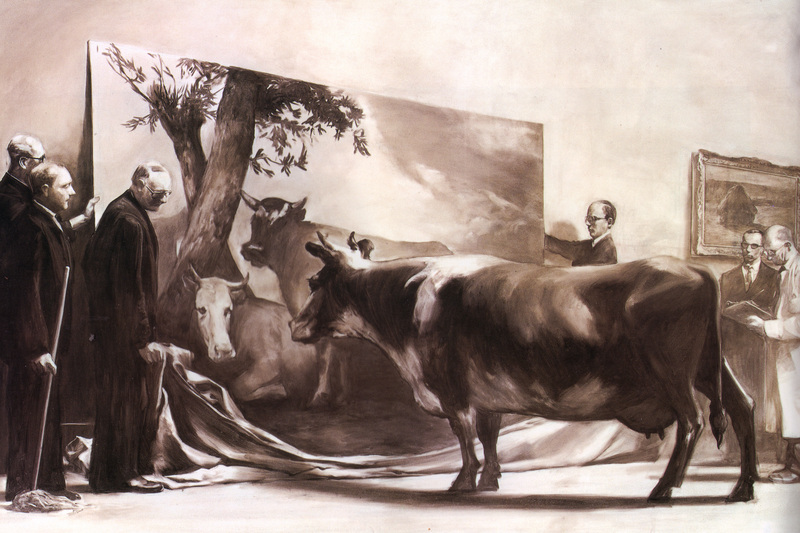 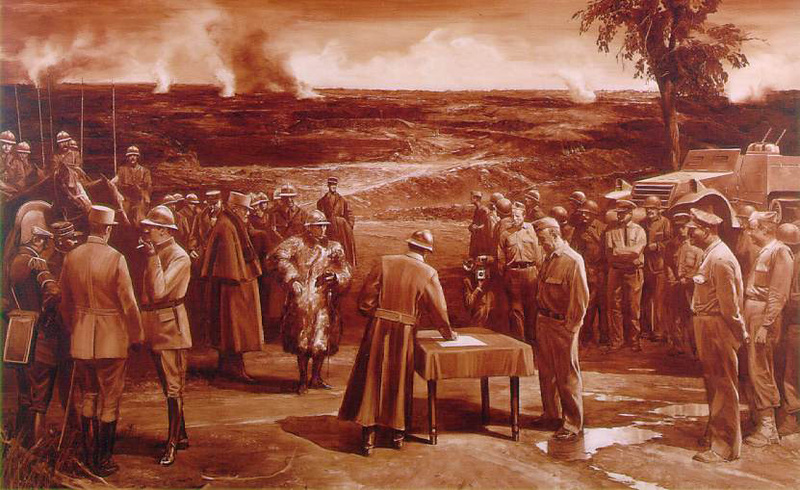 Mark Tansey was born in California. He attended art classes at the San Francisco Art Institute and studied at the Art Center College of Design in Los Angeles and at Hunter College in New York City. Tansey lives and works in New York. 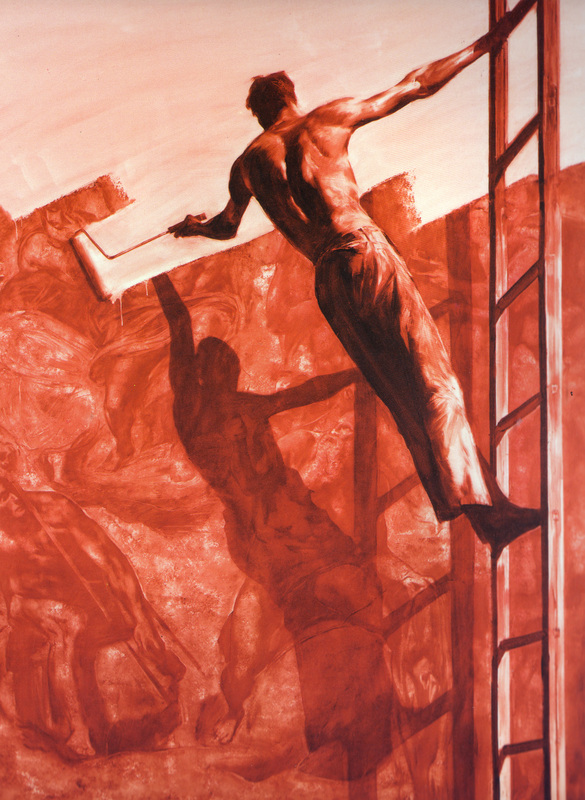 He takes art history, philosophy, and critical theory as the subject and content of his art. 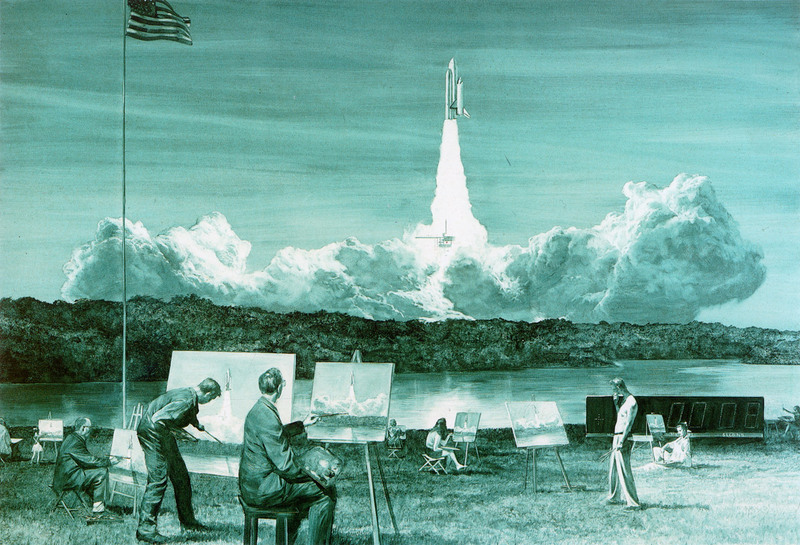 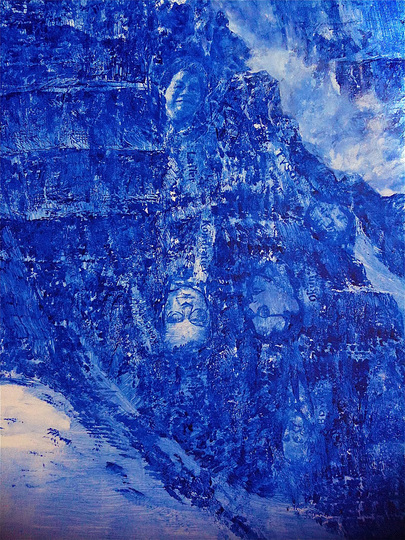 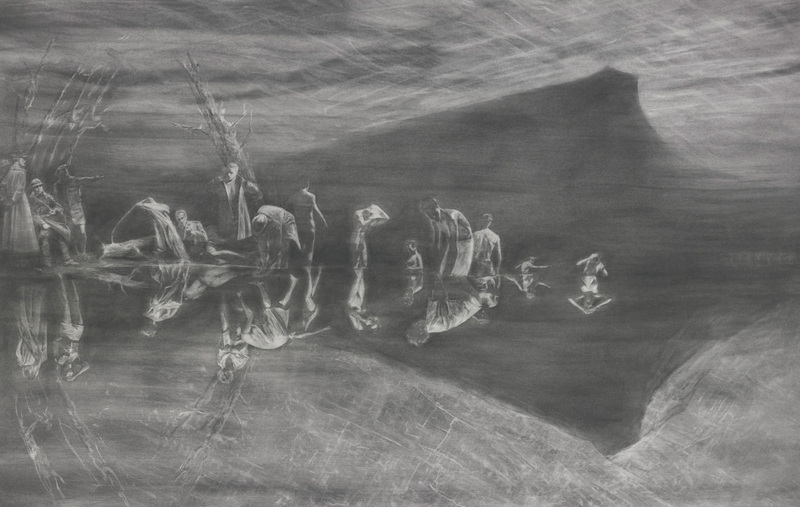 Using archived clippings and photographs, he creates collages as preliminary studies for his paintings. 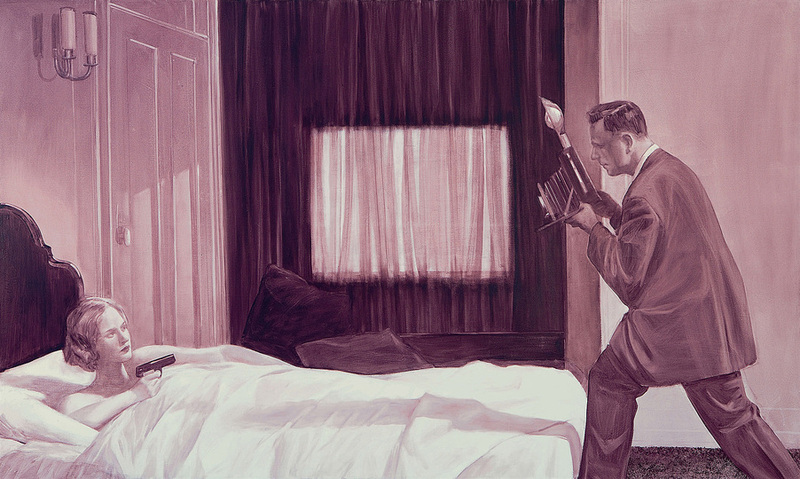 He applies multiple layers of gesso, brushing and scraping the monochromatic paint onto the canvas.